You're undoubtedly already used to receiving great GPS reporting in many of the places you visit. Now get prepared for GPS in cosmos. NASA is working to construct a navigation system that would work anywhere in our solar system and outside. Spacecraft now depend generally on radio signals sent from Earth to navigate, as Spectrum describes. As craft get more away from Earth, though, that technique becomes less precise. So NASA is considering to use signals from neutron stars, super compressed, super high-energy stars at the end of their days, to trace ships in bottomless space. 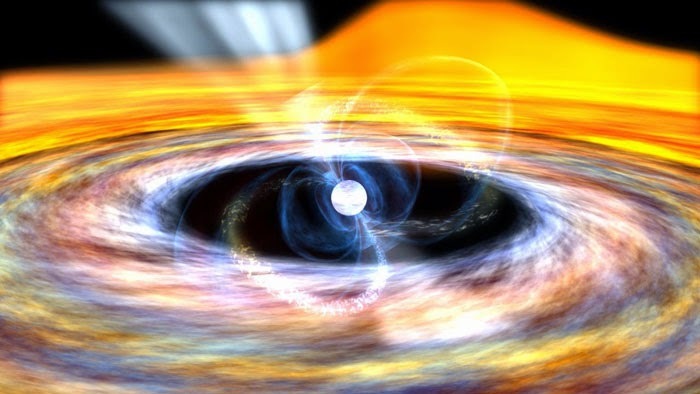 Certain neutron stars, called pulsars, produce great beams of light while spinning rapidly. NASA relates pulsar light to lighthouse beams. Their movement is tremendously steady, so a spacecraft sensing those beams will know precisely where each beam is projected to be in space at any given time, and thus compute where it is in space, too. Pulsar beams are measurable in "every conceivable" point in cosmos where people might want to sail in the future, Ken Gendreau, the chief scientist in the project, said in a report. Gendreau and his team plan to test the arrangement in a machine they'll send to the International Space Station in 2017. The operation is called Station Explorer for X-ray Timing and Navigation Technology (NICER/SEXTANT). NICER/SEXTANT's devices will also clarify astronomers more about neutron stars. Massive stars turn into neutron stars when they finish the nuclear reaction that energies them, detonate, and then collapse. Neutron stars produce powerful magnetic and electric fields and pack matter in the highly compressed manner imaginable. There's no way to reconstruct their situations on Earth in order to study them.